Video streaming refers to the method of displaying the content directly over the Internet. It saves the need of downloading a media piece on the device. The user can begin watching while further content is being constantly transmitted to them. The numbers speak for themselves. The online video market is growing at the pace to be envied by other industries. 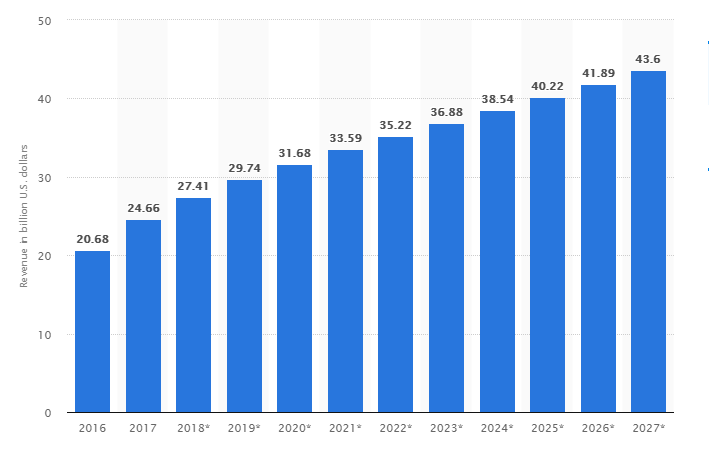 According to Statista, the revenue generated from online video content will more than double from 2016 to 2027. Ovum estimates that video will amount to 70% of all mobile data traffic by 2020, an increase from 56% in 2014. Pew Research Center found out that about 6 out of 10 young adults in the US will choose online streaming services to watch TV. On-demand video streaming. These apps allow users to select and watch preloaded content such as movies or TV shows anytime and anyplace. The data is stored on the server. The sector is dominated by big-league vendors like Netflix, Amazon Prime, and Hulu. Live video streaming. This type of apps is meant for simultaneous media recording and broadcasting it in real time to the viewer. The videos can be either stored on a server and be accessed by other users for a certain time or broadcasted directly to a user without storing. The latter means the content is available only in online mode for the time of streaming. In fact, 80% of users said they would rather watch live video from a brand than read a blog, while 82% prefer live video from a brand to social posts. Live video streaming is mostly represented by Facebook Live, YouTube, Snapchat’s Live Stories, Periscope, Twitter and YouNow. Belitsoft has successfully developed a live video streaming application for our Client who owns a video surveillance system company. The app allows multiple users to connect to the cameras and get the real-time image on their devices. The functionality of the app also includes viewing of the videos recorded earlier. The app is available on Windows Client as well as iOS and Android platforms. Everyone wants a video in high resolution and no one wants it with “loading” screens showing up. As Limelight Networks’ “The State of Online Video 2017” states, 21.6 % of people will quit a video page if it stops and rebuffers during playback. The second occurrence will lead to 61 % stop watching, while rebuffering for the third time means 84.7 % of the audience is lost. 23% of people who have been presented with a poor quality video experience said they would hesitate to purchase from that brand. The quality of a video stream largely depends on the available bandwidth. Generally, a higher bitrate means a higher image quality in video output and the more bandwidth required. Yet, original-sized media is generally too big for the common Internet connection speeds. This is one of the reasons any video goes through encoding. Video codecs - software or hardware tools - are used to compress and decompress digital data. Compressed files have fewer bitrates and require less bandwidth while preserving approximate video quality after decompression. For end-user, this means flawless streaming experience without any buffer issues. Today, H.264 or AVC (Advanced Video Coding) is the most commonly accepted format for high quality streaming over the Internet. 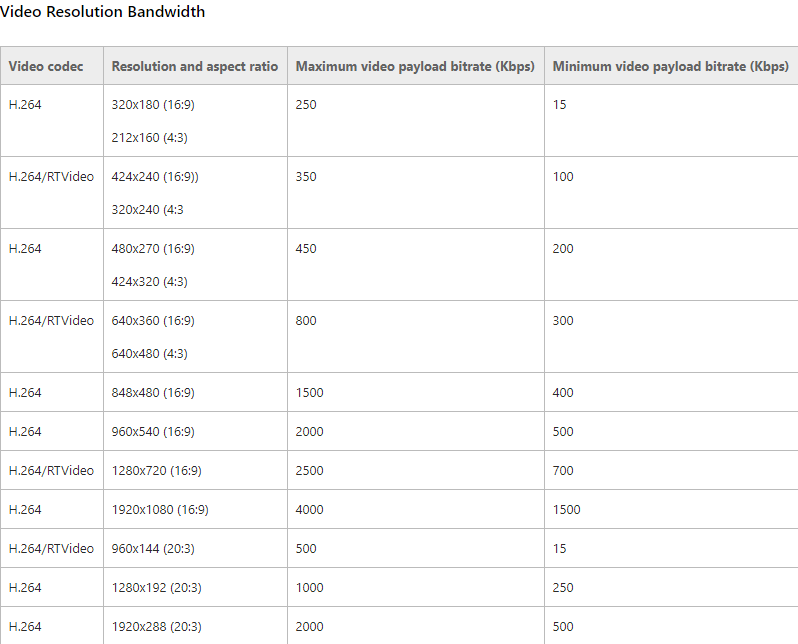 In a chart below you can check out the bandwidth for your own mobile streaming app with H.264 codec. This matters because if the user’s download speed is lesser than that of a stream, the device will compress the file and the video will be choppy. H.265 or HEVC (High Efficiency Video Coding) brought about a format that can deliver equal to H.264 image quality at approximately half the bit rate required compared to H.264/AVC. The price is more computer and memory intensiveness. As a result, it is compatible with fewer devices and reaches a smaller audience. In fact, it wasn’t until 2017, that Apple announced H.265 support for iOS 11. There is also VP9, a royalty-free codec developed by Google. Netflix, however, has found out it performs worse than H.264 in the most resolutions and quality metrics. One can also check out currently supported video codecs for Android and iOS. Another important thing to consider is that variable bitrate (VBR) will give a better image quality than constant bitrate (CBR) in most cases. The main difference is that the former adapts the data stream depending on the complexity of each video segment. CBR, on the other side, does not optimize media files for quality. Issues like latency and buffering are heated up in high-stress scenarios, such as an increase in user demand. To prevent users from frustration, content delivery networks are implemented. This type of network service allows keeping important content in multiple globally distributed data centers. It makes it closer to end-users and faster to download. Redirecting the visitors to edge services can also help to reduce the strain on the network and solve the issue of scalability. The networks are also effective against DDoS attacks since the large distributed server infrastructure can absorb the scale of the attack. Do you already know what you app should look like but need developers for your product? Contact us to hire a dedicated team! Or read on for some more ideas. What should a successful video streaming app offer to gain the interest and love of users apart from high-quality content? 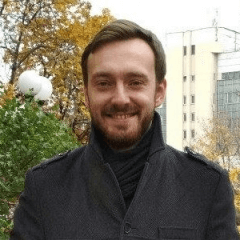 We’ve touched them upon in our previous articles, where we’ve described how to develop a smart home app and a language learning app. We have also talked about the best Android and iOS design practices, as each platform has a set of defined rules to reckon with. Yet, for video streaming, there are some engaging features that have already proved their success with the industry-leading apps. Users should have a chance to search for preferred content with filters for a genre, actors, user ratings and comments, ownership, movie or TV show, etc. For those hesitant to choose, Netflix came up with Netflix Roulette. Based on a short list of criteria the service will return its random choices. One can then watch the suggested content or spin the wheel again, adjusting the criteria. Enabling geolocation tracking can help users discover trending broadcasts in their vicinity or at a certain location worldwide. Conversely, a geo-blocking feature should exist to restrict the content visibility in a particular area because of privacy issues. Comments are especially vital for live streaming apps. 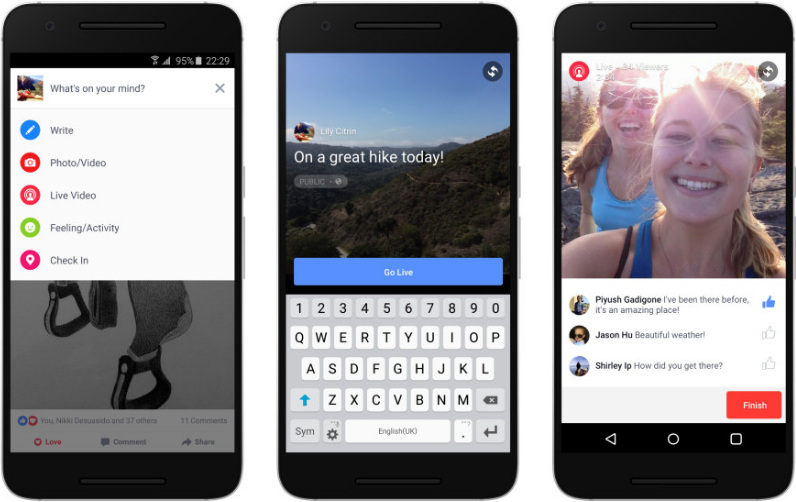 As Facebook said, they get "more than 10 times more comments on Facebook Live videos than regular ones." 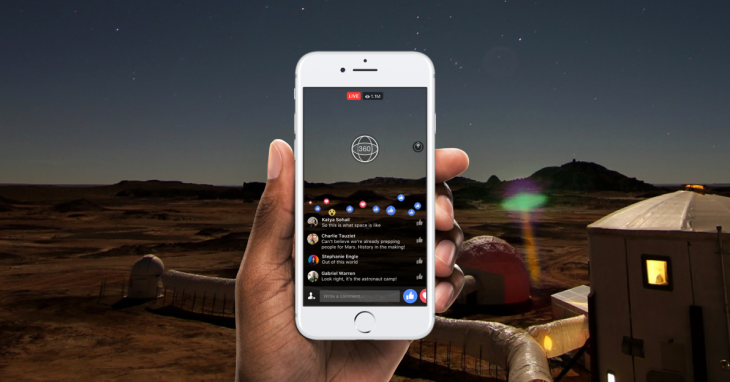 After all, part of the attractiveness of live videos is the real-time communication with reactions, questions, and opinions. With 92% of mobile video consumers sharing videos with others and 55% of people watching videos online every day, the potential of the sharing function for audience reach is huge. Allowing integration with contacts and social media platforms will drive the engagement. Watchlist or My Stuff like it is called in Hulu is a place to store the things you want to keep track of. The users can add to the list content they are interested in like TV shows, movies, networks, sporting events etc. 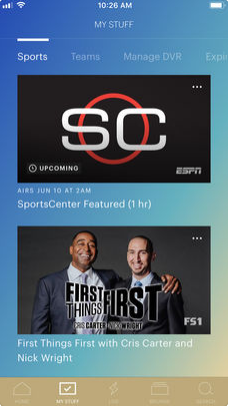 The app also sorts the videos that one has already watched and that are yet to be finished. Clicking on the “expiring” category shows the content which will be deleted from the server soon. Video immersion is a new trend. Such brands as Youtube, Facebook and Periscope already offer its support. However, some additional hardware is required. Periscope, for example, natively integrates with Insta360 Nano for iOS and Insta360 Air for Android. Except for making the world a better place, every app seeks to get financial returns. Statista conducted research to find out which app monetization models worked best in 2017. 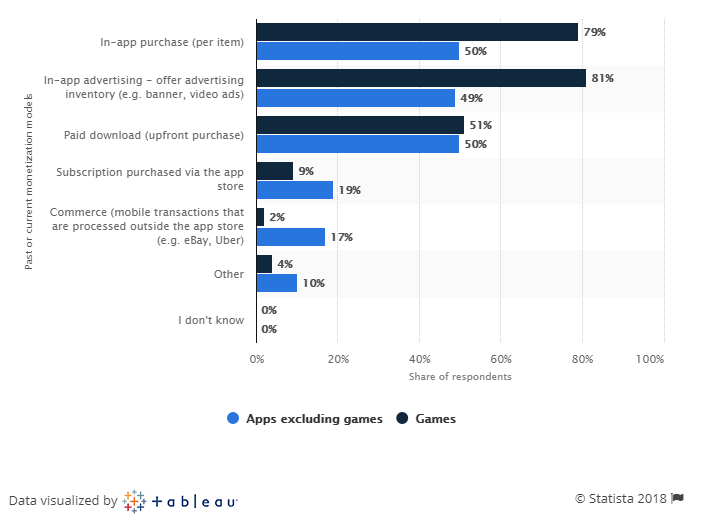 As seen from the chart, the top way to gain profits is implementing in-app purchases in freemium-based apps. In that kind of apps, users do not pay any money to download it but are offered to purchase additional features. The strategy is opposed to paid apps. However, most apps like Hulu still offer some free trial period. Moreover, in Hulu, a user can buy a subscription to No Commercials plan. About 40% of Hulu subscribers pay extra $4 extra to eliminate adverts from the service. However, recently the company may seem to have changed its mind and introduced trial ads to the unanimous frustration of its users. Users love glitch-free video streaming apps. Developing one of your own always implies deep technical knowledge and a pinch of creativity. At Belitsoft, we have talents and expertise to build an app tailored to your specific requirements. Check out our mobile development portfolio and feel free to ask us any questions!